Daryn Lee Lieberman is an Arizona State University online student pursuing a bachelor’s degree from the School of Sustainability. Recently, Lieberman presented a vertical garden project for elementary schools at ASU’s inaugural Change the World event (more on that project in the Q&A below), so we decided to ask him some questions to get to know more about him and his work. 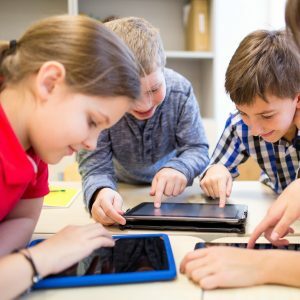 As part of Arizona State University’s efforts to advance sustainability education for K–12 students, a faculty-led student group created a suite of Kahoot! 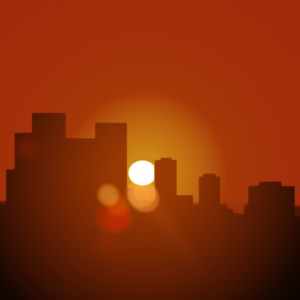 games to teach sustainability concepts. Kahoot! is a widely used platform to play fun, educational games called “kahoots” that are popular in classrooms and other group settings. Through a new capstone workshop called “Innovation in Science Communication,” three undergraduate School of Sustainability students created nine quizzes for a new Kahoot! campaign, ASU Sustainable Futures. Topics include designing for our future, environment, sustainable food, social justice and energy. The students were responsible for developing the content and then demoing the kahoots in several middle school classes. Policies on air pollution, climate change and water have far-reaching effects on millions of Americans and businesses. Is the Environmental Protection Agency ─ the federal agency whose mission is to protect public health and the environment ─ using the best available economic science when designing and proposing such policy? The newly created External Environmental Economics Advisory Committee (E-EEAC) will convene nationally recognized environmental economists to ensure that it does. There have been five mass extinctions in the history of the Earth. But in the 21st century, scientists now estimate that society must urgently come to grips this coming decade to stop the very first human-made biodiversity catastrophe. 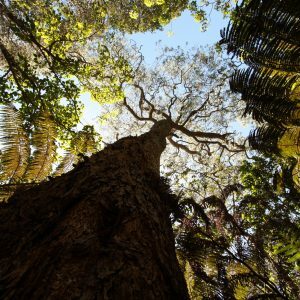 “The sixth extinction is on our societyʻs shoulders; it really is,” said ecologist Greg Asner, who serves on the faculty of the School of Geographical Sciences and Urban Planning and the School of Earth and Space Exploration and came to Arizona State University this past January to lead the new Center for Global Discovery and Conservation Science. Climate change is an ever-present and ever-pressing issue that has the attention of national and world leaders. On Nov. 23, 2018, the United States federal climate report was released. Several days later, U.N. world leaders met in Poland for two weeks of climate change negotiations. Scientists and researchers remain committed to finding solutions to one of the world’s greatest challenges. Among them is Senior Sustainability Scientist Mark Roseland, professor and director of the School of Community Resources and Development. Roseland’s research article with colleagues Robert Newell and Ann Dale, both professors in the School of Environment and Sustainability at Royal Roads University in Canada, was recently recognized with the International Award for Excellence by the International Journal of Climate Change: Impacts and Responses. Easing the problem of homelessness will require communities to build more affordable housing, and that will require creating a new narrative with people who oppose it, according to two Arizona State University experts. “We need to get businesses, public safety, education and neighborhood groups on board,” said Senior Sustainability Scientist Joanna Lucio, associate dean of academic affairs and an associate professor in the School of Public Affairs. 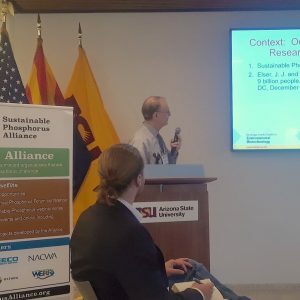 ASU hosts third annual Phosphorus Forum in Washington, D.C.
Arizona State University's Sustainable Phosphorus Alliance hosted its third annual Phosphorus Forum at the ASU Barrett and O'Connor Center in Washington, D.C., on April 5. A packed room brought together 60 participants from industry, government, academia and civil society to network and share knowledge about sustainability issues spanning the entire phosphorus value chain. Phosphorus is an essential nutrient required by global agriculture, but as a key driver of freshwater eutrophication and algal blooms and of coastal dead zones, it is also among the most damaging water pollutants. Participants shared information about policies, tools and technologies aimed at promoting more sustainable use of this finite natural resource. The Arizona Humanities council has named Arizona State University professors Joan McGregor and Natalie Diaz as recipients of the Dan Shilling Public Humanities Scholars Awards. McGregor is a senior sustainability scientist and a professor in the School of Historical, Philosophical and Religious Studies. A ceremony to celebrate the honor took place April 14 at the Mesa Arts Center. McGregor began her career as an academic with a focus on legal philosophy and applied ethics, frequently teaching courses on bioethics and environmental ethics. From there, she became interested in climate justice, which eventually segued into a focus on food systems. 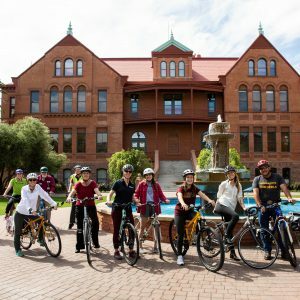 A new signature event for Earth Month, Carbon Free Day on April 17, encourages the Arizona State University community to make small changes that can add up to make a big difference in the fight against climate change. 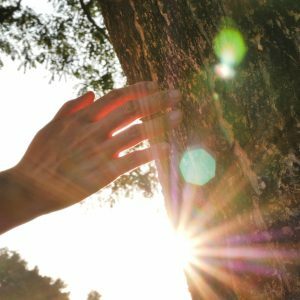 On Carbon Free day, ASU will be purchasing carbon offsets and planting 218 trees to mitigate the university’s emissions for the day. University Sustainability Practices is asking students, staff, faculty and the wider ASU community to join the commitment by making a pledge to reduce carbon emissions. Pledges run the gamut from transportation to food to energy, or participants can create their own. Senior Sustainability Scientist Zachary Holman’s research spanning the full spectrum of solar cell technologies has made him shine as a leader in the photovoltaics community. 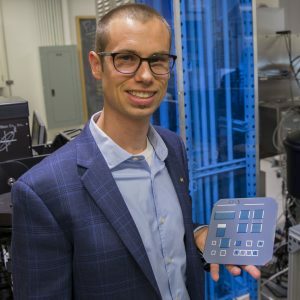 The assistant professor of electrical engineering in the Ira A. Fulton Schools of Engineering at Arizona State University recently was recognized with the 2019 IEEE Stuart R. Wenham Young Professional Award for significant contributions to photovoltaic energy conversion science and technology. This award is given annually by the photovoltaic section of the Institute of Electrical and Electronics Engineers. The U.S.-Mexico border is a complicated mosaic of unpredictable policies and shifting economic tides. A patchwork of man-made and natural barriers spanning four U.S. states and almost 2,000 miles, the stretch is usually defined by the things it separates. 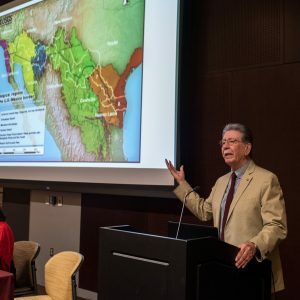 But at the Arizona-Sonora Colloquium, academics aimed to challenge that notion by reconnecting the area’s historic ties and forging a more sustainable future for both lands. 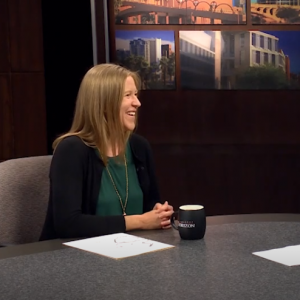 School of Sustainability alumna Haley Paul, who now works as a policy manager for Audubon Arizona, talked on Arizona PBS about the organization’s new report detailing the value of waterways to Arizona's economy. According to the report, water-based recreational activities in Arizona bring $13.5 billion to the economy and create 114,000 jobs. The report aimed to establish a baseline of information and show how important water-based recreation is as an industry in Arizona. Wu regularly teaches ASU classes about landscape ecology and sustainability science. He has written at least 14 books and 295 research papers. 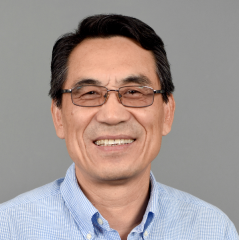 Among his many activities and accolades, Wu has been the editor-in-chief for the journal Landscape Ecology since 2005. He is also an affiliated faculty of the Center for Biodiversity Outcomes at ASU. For most people, the thought of Greece may elicit images of sandy beaches and beautiful buildings cascading toward the shore, but for Senior Sustainability Scientist Matei Georgescu, Greece means the opportunity to expand his research into the effects urbanization has on climate. To help him accomplish this, Georgescu has been awarded the prestigious Fulbright Scholar Grant. 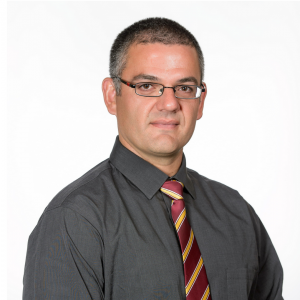 “A key objective of my Fulbright Award is focused on development of high-resolution data of climate output illustrating the magnitude of future extreme heat events for all of Greece,” said Georgescu, an associate professor in the School of Geographical Sciences and Urban Planning and affiliated faculty in Arizona State University's Center for Biodiversity Outcomes. 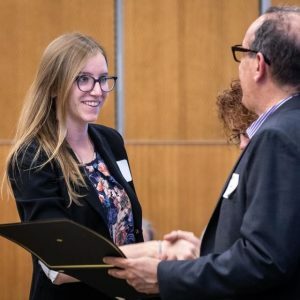 Ashley Quay, who graduated from the School of Sustainability's Executive Master of Sustainability Leadership program in January 2019, was one of two winners of the Knowledge Impact Mobilization Awards presented by the Graduate College at Arizona State University. These awards recognize graduate students who are translating research into real-world impact. 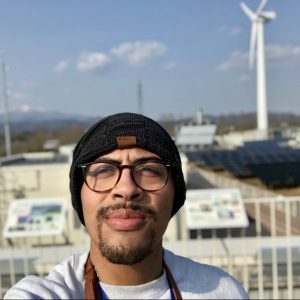 Quay's project, “Positively Impactful,” is a social-media campaign and website that highlights changes people are making to be more sustainable. 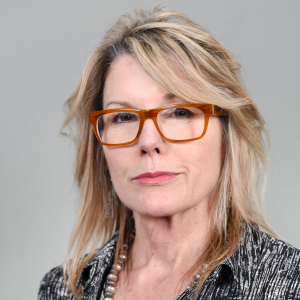 “The doom-and-gloom approach is leaving people disheartened, overwhelmed and stagnant to change,” Quay said, so she used what she learned during her studies to take a more positive, inspirational approach. 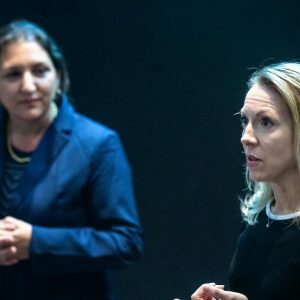 A new segment of “Catalyst” by Arizona PBS features three Senior Sustainability Scientists in the Julie Ann Wrigley Global Institute of Sustainability: Jenni Vanos, Nancy Selover and Ariane Middel. The segment covers the recurring tragedy of children dying in hot cars after parents experience a “cognitive failure” that causes them to forget their children are still in the car — and the research being done to prevent this from happening. View the story, which was released April 3, online through Arizona PBS. “[H]ere we posited that empathy can promote sustainability when individuals have empathic relations with the consequences of environmental harm, when they have inclusive identities beyond their locality, and when empathy promotes collective responses,” the authors stated. 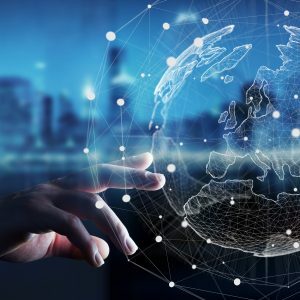 Besides Anderies, there were nine other researchers involved from the University of Exeter, the Commonwealth Scientific and Industrial Research Organisation, and the French Agricultural Research Centre for International Development. 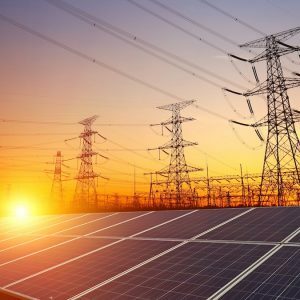 Arizona State University researchers are set to receive a $3.6 million award from the U.S. Department of Energy Solar Energy Technologies Office to advance solar energy’s role in strengthening reliability and resiliency of the nation’s electricity grid. 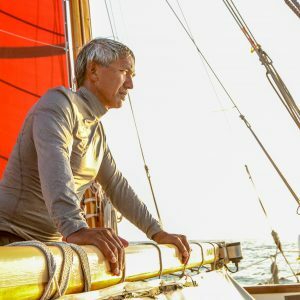 Note: Hawaiian master navigator Nainoa Thompson, president of the Polynesian Voyaging Society, gave a Wrigley Lecture in October 2018. To understand the Earth, Lacy urged me to sail around the world on the Hōkūleʻa, a deep-sea voyaging canoe, as the ancient Polynesians did: using as wayfinding tools the stars, the winds, the waves and other cues from nature. No modern instruments. No GPS. A unique center officially opens on April 3 at Arizona State University, housed within the Julie Ann Wrigley Global Institute of Sustainability. 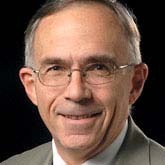 The Global KAITEKI Center is funded by Mitsubishi Chemical Holdings Corporation (MCHC) and its group’s think tank and research institute, the KAITEKI Institute, and led by Professor George Stephanopoulos, who holds joint positions in the School of Molecular Sciences and the School for Engineering of Matter, Transport and Energy in the Ira A. Fulton Schools of Engineering.